Roxana Moisanu (concert harp and Celtic harp) and Mladen Spasinovici (cello), both solo instrumentalists in the orchestra of the Bucharest National Opera, had their first recital as Duo Cell’Arpa in 2011. Duo Cell’Arpa already has various repertoire, including original works for cello and harp, as well as their own arrangements and transcriptions. Their desire is to enrich the limited repertoire of musical literature written for cello and harp. 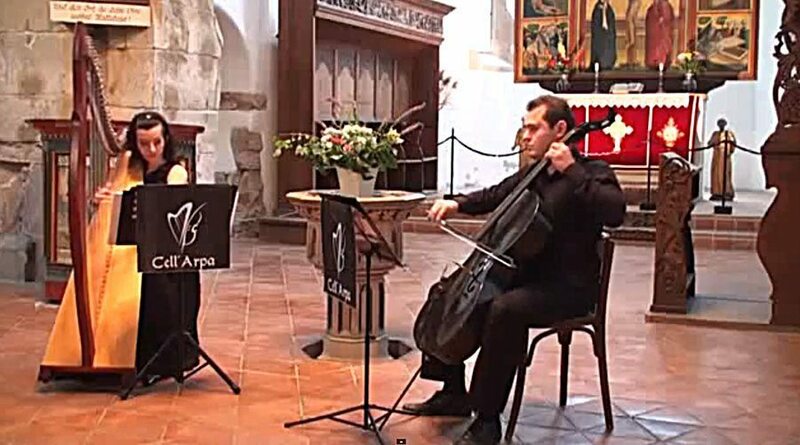 A nice feature of Duo Cell’Arpa is their possibility of performing on both classical and modern instruments. Except the classical concert harp („Lyon & Healy No. 30”), Roxana performs on a Celtic electroacoustic harp (“Salvi Egan”), while Mladen chooses a more innovative cello made of carbon fiber by “Luis and Clark”.